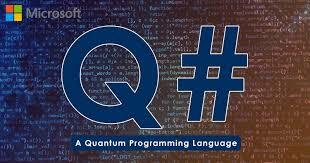 The Q# language (pronounced “q sharp”) and simulator were first announced in September, with the then-unnamed language intended to bridge the functions, variables, and branches of traditional programming concepts, along a syntax-highlighted development environment complete with quantum debugger. While quantum computing is a relatively new field that has hitherto built algorithms from wiring up logic gates; including vector and matrix mathematics, the qubit, Dirac notation, Pauli measurements, and quantum circuits. Q# as a high-level programming language will execute its sub-programs on a quantum processor that is linked to a classic host computer which receives the results. Microsoft has already made available a primer on essential quantum computing concepts, and the Q# development kit for free with detailed instructions on the installation and introductory programming tutorials. The goal is to create a full software stack that will give interested developers a chance to learn about quantum computing programming. Albeit, the company has been bullish lately on quantum computing, the Q# programming language isn't unlike most other programming languages, and very similar to its C# counterpart. It's application has a few interesting primitive types, which in addition to the more typical ones such as int, double, bool, and string, also include a Pauli, Range, Result, and Qubit type. And there are many Q# quirks in the language, like functions being referred to as operations, and so on. Even as quantum computing is perceived as capable of disrupting many industries and fields once it becomes available and ubiquitous, it will also help us solve pretty complex problems. And particularly, cryptography as perhaps best-known—many of the algorithms that we trust to securely communicate over the Internet will be broken wide open by a quantum computer. But, It will eventually solve the encryption problem it initially undoes, since quantum encryption will be completely secure. For those interested in working with Q# language, it will be worth the while checking out the Quantum Algorithm Zoo for ideas.